The University of New South Wales' School of Electrical Engineering and Telecommunications has created what it says is the world's first working qubit based on a single atom. 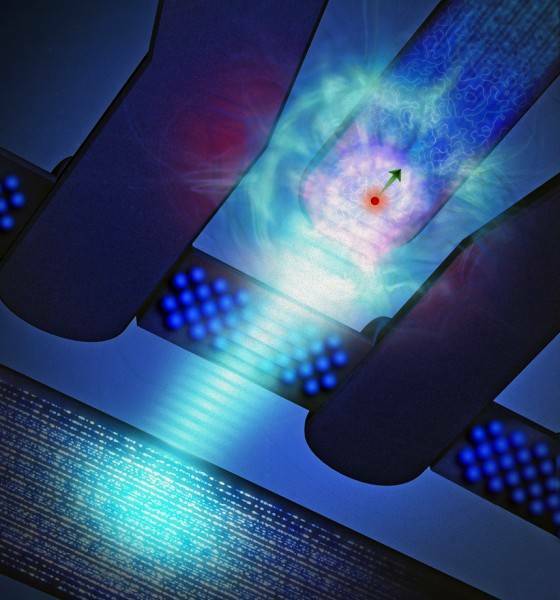 Detailed in a new Nature paper, A single-atom electron spin qubit in silicon, the qubit relies on the ability to impart “spin” to an electron bound to a single phosphorus atom, then read that spin. Spin is the magnetic orientation of an electron and is a very useful quality as it can be used to make matter behave in useful ways. IBM, for example, is keen on controlling spin as a way of assembling denser storage media. The UNSW team, which worked with University of Melbourne and University College, London, researchers, managed to impart a certain spin onto an electron and then read it back. Reading spin is a decidedly non-trivial task, as spin boffins told us back in July. The transistor in question is not that created by UNSW researcher Dr Martin Fuechsle, which we reported on last February. Dr Andrea Morello from the team behind this new paper describes that device as a transistor built at quantum scale, but not a carrier of quantum information. Dr Morello explained to El Reg that the transistor described in the new paper is set up to read the electron's spin. If it is spinning "down" energy cannot flow into the transistor. If the electron spins "up", current flows, the transistor catches it and the team can see the results on a garden-variety oscilloscope. The team now hopes to assemble two working qubits into a logic gate, the next logical step towards building a quantum computer. Morello said building such a device won't require step into the unknown, but will take a year or two to accomplish. with arrow showing the spin direction) coupled to a silicon single-electron transistor. A burst of microwave radiation (light blue) is used to ‘write’ information on the electron spin.